Home » Crafts, Sewing, & Home Decor » Sewing » A really great new tool……..and GIVEAWAY (over $400 value)! A really great new tool……..and GIVEAWAY (over $400 value)! I have been having a lot of fun playing around with a new tool lately. And the precision of this thing is phenomenal. And will grab at your little heart. Accuquilt is a company based out of Nebraska, that has created a brilliant little portable cutter. One that will save you hours of time. Seriously. They have designed this sleek little tool, the Go! Cutter, that uses die cuts to cut so many different shapes and strips of fabric…….making quilting, sewing, and crafting so much easier. Let me tell you a little secret. I am not a quilter. Not because I wouldn’t like to be…….I just don’t have the time. Quilting takes time…….and that’s no secret. I like a project to take a few hours max, to work on it here or there, and then be done. When my kids are bigger, I’d love to make piles of quilts……but now is not the time. I need faster crafting gratification for now. But then, a few weeks ago, I received a Go! Cutter to test out. I cut piles of shapes and strips. So I decided to make a quilt……and just see how it went. Then I folded over a piece of fabric 4 times, into a narrow strip to fit through the cutter…..to make multiple cuts, all at the same time. ……and out came my tumbler-shaped cuts. And 4 of them at the same time. I continued on with the same strip of fabric, using as much of the space as I could……and ended up with minimal scraps. Loved that. And then I continued with my next colors and folded my fabric over even more, to cut through 8 layers of fabric at once. Done. And now I had little piles of neatly cut tumbler shapes, in 4 different colors. The thing about this Tumbler shape, is that it has trimmed corners, to minimize trimming later on. I didn’t realize how much I would appreciate that, until I sewed all the pieces together later on…….and didn’t have to trim one thing. Ahhhh! Then I layed out the shapes, just how I’d like them, and started sewing strips together. Then I sewed all of the strips together to get one big quilt top piece. Then I placed a layer of batting and then a piece of plain fabric along the backside…….and began quilting, using a stippling technique on the Bernina. (Wow……effortless. But we’ll talk about that another time.) You could always use straight stitches right along each Tumbler shape or even hand-stitch some quilting designs onto your quilt. But hand-stitching takes more time…….but is so charming. So you decide. Then I trimmed off my edges and got the quilt ready for the binding. I placed my fabric onto the Strip Cutter die, and folded it into thirds so that I could cut long continuous strips……as wide as the width of my fabric. Then I unfolded my strips of fabric. Easy, quick, and very precise. Wow, this makes binding so much easier. Then I sewed each strip together, and folded it in half lengthwise, to form one long piece to use for the quilt binding. And then attached it to the quilt, sewed around it………. I love that it took me an hour here and there from one day to make each quilt, and shaved off hours of measuring, cutting, and clipping. 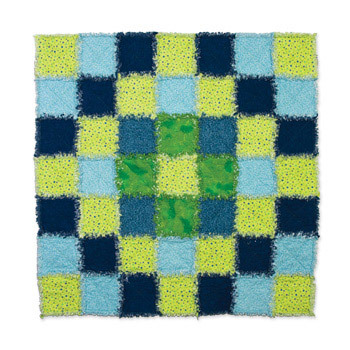 And the tumbler shape created a fun and vibrant pattern for these quilts. And they go perfectly in the little boy/girl toddler room, that I started here. One on a toddler bed, and one for the crib. And I couldn’t be happier with how easy it was to keep everything even and precise while sewing. Want to see some other ideas? Are you really into making those rag quilts, with all of the textured edges? But hate snipping and clipping all of the darn raw edges? 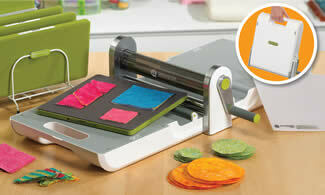 Just take a look at this Rag square die cut, that cuts each square on the Go! Cutter, plus all of the little slits in the fabric. All you have to do is piece them together. Or how about some really fun applique cut-outs, that could be used on blankets, shirts, table runners, etc. Check out all of the die cuts here. Just think of all the fun. But are you ready for something exciting? Accuquilt is offering one of their Go! Cutters, absolutely free, to one of you. So whatever your crafting style is, you’ll be able to choose just what you’d like to create. And save a ton of time while doing so. Visit the Accuquilt site here , but more specifically the Go! Cutter shop here…….then browse around for a while. Then come back here and let me know in one comment what your plans are for the Go! Cutter, or how you’d like to use it. « Re-purposing: Women’s Long Sleeved Shirt into Short Sleeves……and a new friend! I REALLY REALLY want one of these! I would use it to cut 2-1/2 strip all the time! I think this would make quilting so much easier. I would get the Go! Apple and the Go! Tumbler for quilt making. I LOVE quilting!! It's become somewhat of a pastime now that I have 2 toddlers. But this would shave off soooo much time! I would like to try the Where's Tommy pattern for my boys- what a fun idea! Love that shop! I would use this for quilting for my girls, which I'd like to do more of, but don't have the cutting patience, mainly. My mom loves to make quilts but her eyes are just not what they use to be. I would love this so that I can help her with the her quilts. I think it would save so much time and would be a great bonding experience. Now THIS is an awesome product! My kids and I would have so much fun using this machine in many ways. Today, they are digging through my scrap basket and making patchwork pillowcases for their beds. This machine would make cutting a LOT easier! These are so cool! I think i would use it mainly to cut 5" squares and 2 1/2" strips. So handy! I would love to use this to quilt! My mom and grandmas quilt, and I'd love to join their club! I not only would use this for quilting, I'd use it to make some of my costumes, bibs, and possibly outfits for my pug. Absolutely use it to make a quilt for my new baby's crib! And probably potholders as gifts and quilted bags! Oh my gosh, that is the coolest thing ever! I like quilting, but cutting is the WORST!!!!! I would never stop using it! I can't imagine always having squares all be the exact same size!!! I would give this as a gift to my mom. She loves quilting but would never spoil herself with such a great tool! Circles, circles and more circles! I was just thinking two weeks ago how awesome it would be if there were a die cut machine for fabric . . . and here it is! I would love to win it! Wow! I love how your quilts turned out, so cute. I would love to win so I could make rag quilts for christmas. First I am going to make that cute quilt you made with the tumbler shape – as a picnic blanket – for all my friends. Then I am going to pull out all of the quilts I've wanted to make and get cracking! Well now I have to have one to make the 6 million ideas I have spinning thru my head!!! I need that butterfly cutout. This machine makes quilting look easy to even a beginner like me. I'd love to give it a try. I love to quilt, but I'm terrible at it! I can't cut a straight line to save my life! This would really make it a LOT more fun! The first think I would make are matching quilts for the my girls. This would be AMAZING!! OMG! This is so cool! I'm about to start making quilts for the first time and this would be excellent! I love the tumbler shape quilts you made! They'd make a fantastic quilt for my MiniDork! I just finished a HUGE rag quilt, and it took way too much time to trim the edges (and I even forgot a row). I would love to have the GO! Rag Square-5 1/4". At first I thought this was a scrapbooking tool. Boring. (for me.) Then I realized you were cutting fabric and I freaked out! I have been struggling over what to do with my kids rooms because my daughter and son want to share a room. Now I know I can make 2 really cute quilts for them! I NEED TO WIN. Love to sew, HATE to cut. This would definitely take the headache out of quilting and appliques! Awesome tool! I would use it all the time! I HATE cutting by hand. I would love the strip cutters, but would use the quilting shapes as well as the applique dies. We have an Accucut machine at work and I love it. I would LOVE to have one at home. If I win the GO! Cutter I would make baby quilts for my friends. I have wanted to make a quilt for sometime but was intimidated by all the cutting. This would make it so much easier and I love the apple core die-cut! The Go! is amazing! I would use it for so many things…cutting strips for binding, making an apple core quilt, cutting out appliques for various projects…oh and so much more! Awesome! I love the applique uses (onsies anyone??) and the rag quilt block. I hate cutting all those annoying fringe but love the look. Sweet deal! here's hoping I win! I would love any of the strip cutters or Studio Strip Cutter-1 1/2" (Super Giant. I love this!! Makes quilting sooo much fun. Great timesaver. I have 4 little kids & this would speed things up like crazy. I would finally make my kids their memory quilts….this thing looks awesome! I would use it to cut my squares for the next three quilts in my project line up. I have been drooling after one of these for a while now. I would love to use this nifty little thing to make a quilt for my wonderful friend's triplets (of which I am a God Mother to one of :))! I would love to have one of these. With three kids running around, the time spent cutting fabric makes all the crafting I want to do difficult. This would make appliques and binding so much easier, and my Mom would finally be able to convince me to quilt! I've never done a quilt but really want to try to. This would be awesome for that! The strip cutter would also be great for making ruffles. OH MY GOODNESS! I am in the process of getting a new machine so I can quilt more!! and I was just talking to my friend saying how we never win give-aways online….so please let this be my first win! I would def. get the strip cutter and then something just crazy fun! I cant decide but don't worry I will be able to SO PICK ME!! Oh, I'm in love! :) I would use the Go! Cutter to make fabric pennants in a snap! Oh my gosh…I'm in LOVE! I would definitely be spending a lot more time quilting (and a whole bunch less time cutting). How easy is this? Seriously awesome. I love it all especially the letters. My mom is a big quilter, especially for charities. I think I would give this to her. 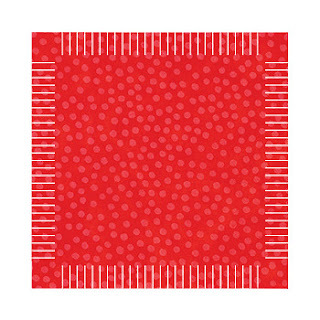 The die cuts would look adorable on some of the premie quilts she makes! I, like you, typically enjoy projects that allow more instant gratification. I really think that this would allow me to do more baby and toddler quilts that I love to give as gifts. Thanks for giving us a chance to win one! My all-time favorite blanket is a quilt from my grandmother. She cuts everything by hand….so, as much as I would love this thing for myself, if I won I would give it to her for her birthday coming up! I would LOVE to make different quilts for my family. I've tried some in the past, but time has gotten away from me, and so have the straight edges! This would be a blessing to have! I would love it especially for all the cutting and straight edges! LOVE this product!! I would probably have to purchase most of the products since I'm in love several different ones! Oh the quilts I would make with this! 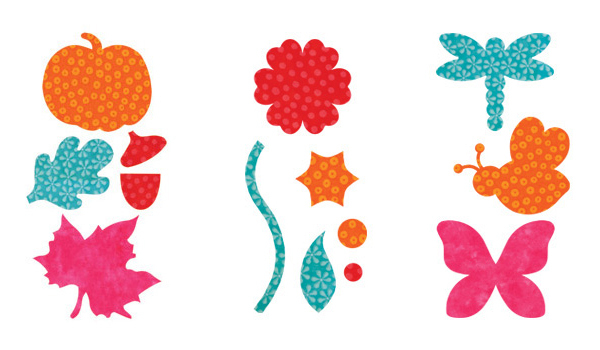 And I'd applique all over the place with those cute dragonflies and butterflies! WHOA! What a great giveaway! I didn't even know that something like this existed! I am a VERY slow cutter (and not always the most precise), this would make all my quilting projects go so much faster which is especially important if I am going to get any sewing done once the school year starts again. I love doing appliques on plain t-shirts! This would make it so much easier! I would use this for Oh so many things, sewing, scrapbooking, decorating. . . The possibilities are endless. I love this new machine! I have been dying to try and make a quilt, but the "time" thing has made me put that desire on the back burner, but I could so do it with this machine. I would love to try the rag die. This is amazing! I love the geometric shapes (I'm a math person) and how easy this would make my life! Especially after having eye surgery a few years back that caused distortion when cutting shapes by hand. It's a great machine!! I am an avid quilter and would to be able to save time and make some more interesting shapes in my quilts. I love your quilts, and am seriously aching with Jealousy over your Bernina. I had one from the 70's that I used to death. I wore the motor out, and I miss it. As a new mom, I'm very eager to start quilting, but it's a little overwhelming for me. I think the GO! Cutter would give me a bit more confidence so I can eventually work up to making a memory quilt of some of my favorites from my daughter's first year onesies. For the dies, I especially love the GO! Critters and GO! Stars, but would probably want to start with basics, like one of the GO! Squares. This is awesome! I would probably use it the most for rag quilts cuz I make a lot of those. I would love this for quilting. I'm a horrible cutter, and this would make it SO much easier! Wow! I am a wannabe sewer – just getting started and heavily inspired by your blog! This would really help me start out right with my projects, especially when my eyes are too big for my skills. Cutting fabric is an especially daunting task for me! Anything to help shorten the time of projects is my kind of gagdet. Seriously love it! Oh my birthday is on the 20th so this would be a nice little present :) Keeping my fingers crossed!! OMG!!! This is the most awesome tool ever! I don't quilt YET but I would def. be a quilter with this tool! Love the quilts you made for your kiddos! You made it look so easy to do. I am like you- would love to quilt, but with three children under five, just don't have the time. I also love the applique cuts- great for those clothing repurposing projects! Thanks for the review- I'd never even heard of this! I have never heard of these!!! They are AWESOME! My granny was a quilter, and I have wanted to learn. If I won this, I would hav eno excuse to not start learning. The little quilts you made are adorable! I'd love to win the GO! for a friend. Great product. Love to create with the 3 1/2" strip die too. I would use this to actually MAKE a quilt! I have been wanting to…but the time factor is DEFINITELY an issue! Love the two quilts you made!! I would actually quilt again. I like to quilt but hate to cut. I've always wanted to quilt, but like you said TIME. This looks so easy and fast. I would love to give it a try! I love those quilts you made–I would want to try the tumbler. I'm drooling over this machine! I would probably do more onesies and quilts with applique! & the strips – awesome!!! OH MY GOSH! I want one of these like I want another set of arms to help! Cutting is definitely my least favorite part of quilting, and I often times put off making a quilt due to my hatred of cutting! This would be awesome, and give me more motivation! Those tumblers are so cute! I also like the flower applique die cut. Oh my goodness. I would LOVE this for SO many reasons! I have an auto-immune disease that greatly affects my joints so cutting is my biggest struggle! This would help massively! Especially with the so-cute and cuddly rag quilts! I'm in love! I want to be a quilter, but time…oh, where does it go? And, to be honest, quilting is fairly intimidating. But this seems to take care of both things! I would make quilts for my family. Each one unique. I've only ever done a solid quilt, with no piecing. This looks so fun!! OMG I have been eyeing this for a while now…I really want to start quilting but when I cut they never match up..so I give up..:( I really love the rag quilt die..I would make one for my bed!! Thanks for the opportunity to win this awesome machine!! This tool would be great for making any project go faster. And that is the key to my crafting with a baby who only takes one nap, fast is good! What an amazing giveaway. I would love to win this. I have been looking at fabric cutters for over a year now but cannot afford it. I have so many plans & dreams to open my own Etsy shop. This would be the perfect tool to get my business started. I would use this to make unique bibs, burp cloths and blankets for babies. Thank you Ashley for this incredible opportunity. I really want one!!! i would use if all the time! i do strips for blankets and this would HELP so much!!!! I am just starting to make quilts, and my projects would go so much faster and easier with this cutter! I would have a hard time choosing which shapes to get, but oh how I love looking at them all. I would use the square cutter the most. And I've always wanted to make a rag quilt, but haven't wanted to invest the time. That would be my first investment! What a great tool! I'm a beginner quilter and would love to use this for baby quilts! I've never made a quilt because I can't cut a straight line with a ruler! First up would be quilts for my kiddos and I might just use the tumbler because that quilt you did was WONDERFUL!! I would love to use the dies to make cute shirts for my 3 girls! Wow this machine is a dream come true. I am thinking about all the great items I could make with it. I am new to quilt making and I would love to be able to become the master quilter. With this machine I would be able to make works of art. I would become the master quilter in no time. Please pick me. I'm like you.. I love to sew.. I hate to cut fabric! I would LOVE this so I can actually get those quilts together I've always wanted to make! I love applique on shirts and clothes. I am a beginning quilter as well. This would be wonderful! great giveaway! i would love to use it for felt cut-outs. and i always love me some quilting. I would love one of those to make…anything! Such a time saver! Love IT! Having two little ones at home and not much time, this would be absolute Heaven!! I would make blankets for days! Cutting is my least favorite part of sewing. I would love to try using the cutouts for applique projects beyond quilts! This is AWESOME! I love adding cute appliques to projects, and making binding for quilts has never looked so easy! What a great tool! This would make quilting so fun! I would definitely use the 2 1/2 strip. Holy smokes, this is great!! I would love to make my girls quilts, but just didn't want to have to cut and cut. Who has the time?! And that 2" strip, AWESOME! What a great giveaway! Thanks! I definitely would use that to make a cute tumbler quilt like you've done… that is adorable! I've never seen a machine do that!! I've been promising my daughters some quilts for their beds, so that's what I'd do. I would love to be able to make a quilt for my kids, I have tried quilting in the past but hated the cutting of all the pieces. Currently in need of summer quilts for the kids, they hate sleeping without a blanket! I LOVE the apple, and drunkard dies. Definitely would use a strip cutter to make strip quilts. My favorite! I'm a quilter so I would definitely use it for quilting. I've seen the Go! Cutter before, but I was skeptical since I thought there'd be more waste. Your demo definitely shows that it's probably less wasteful than my own cutting (which I hate to do). Thanks for the chance to win! I absolutely adore the quilts you made! I've never made one (yet) but would definitely try if I won! I'd also like to make a tiered skirt or a circle skirt and start appliqueing (yes, I'm a bit behind the times).